Mr Stewart Jackson(Peterborough): To ask the right hon. Member for Meriden, representing the Church Commissioners, pursuant to the Answer of 16 November 2016 to Question 52646, for what reason no timetable is in place to expedite the sale of Phase 2 at Paston Reserve, Peterborough; and if she will make a statement. 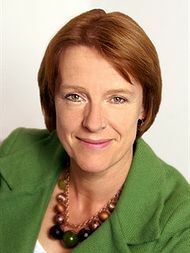 Dame Caroline Spelman: Pursuant to the answer of 16 November, no timetable is currently available since the transaction remains the subject of further due diligence between the disposing and acquiring parties, the outcome of which remains unclear as matters stand. The matter is the subject of intensive communication and action between the parties concerned, and their advisors, in a bid to resolve all outstanding issues and complete the transaction in respect of Phase 2 as soon as practicably possible.